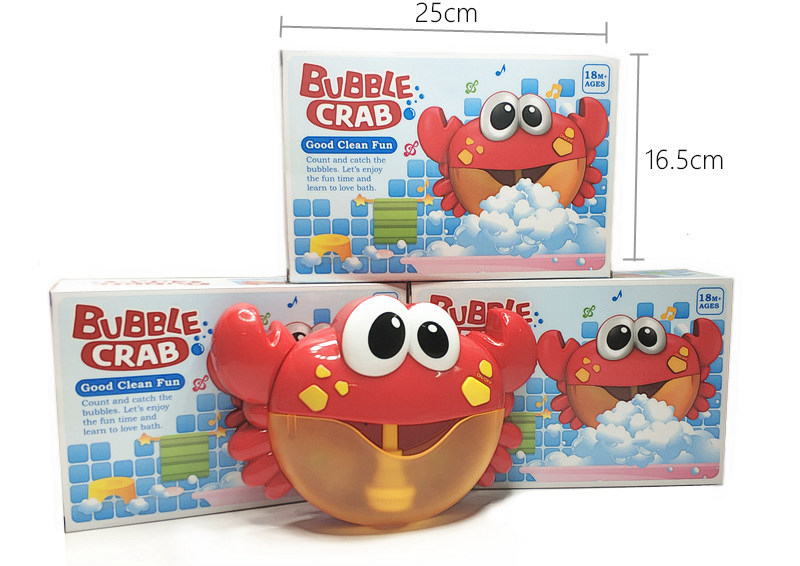 The Bubble Crab will fill your baby’s heart with joy and their mouth with giggles and laughter. 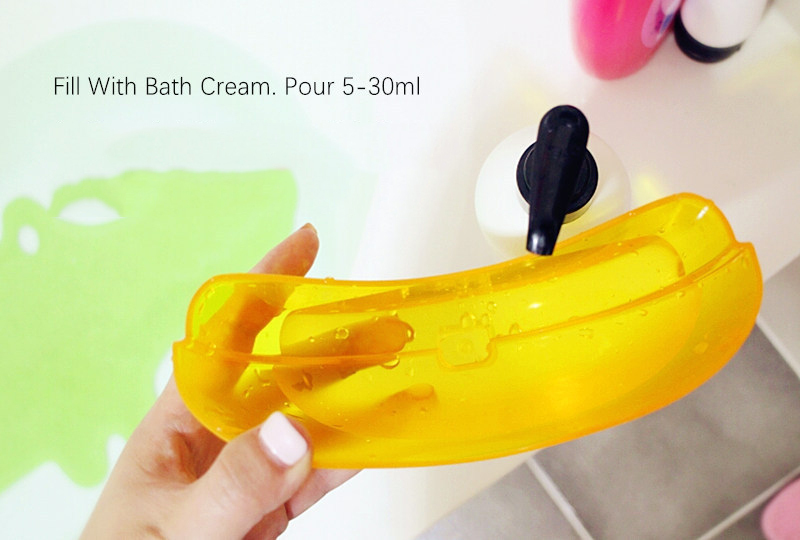 Every bath will turn into a memorable experience. 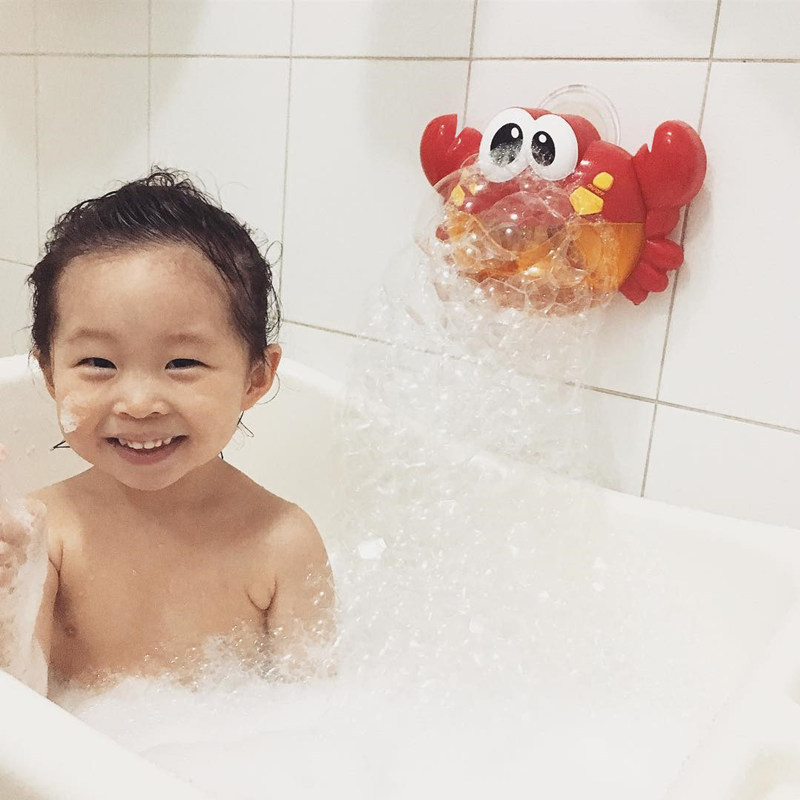 Bath time is unavoidable whether you or your little one like it or not. 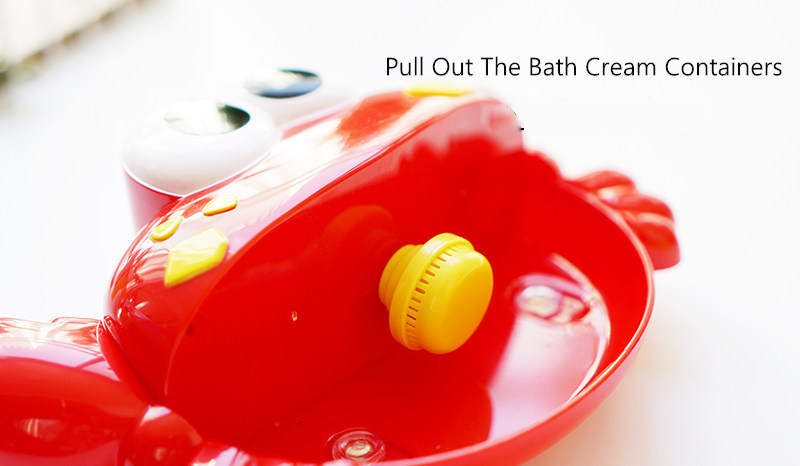 And when it comes to bath toys, we have very limited choices. If it’s not rubber animals, then it’s sticky foam letters. 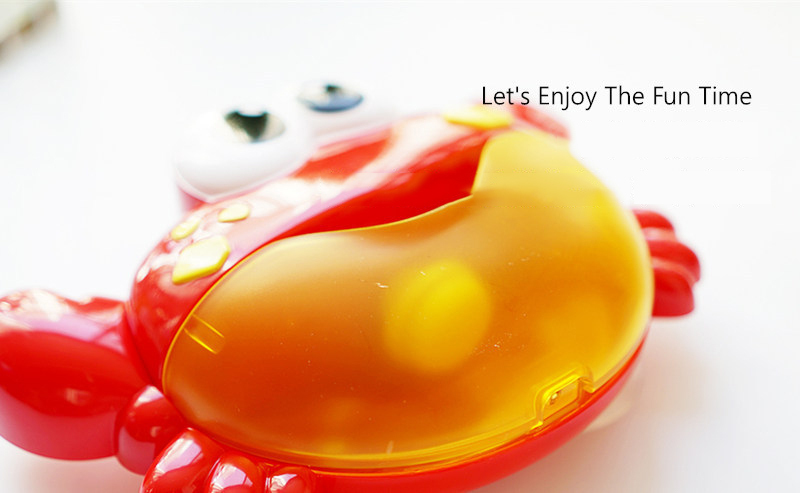 If it’s not a fishing toy, then it’s buckets and scoops for water. 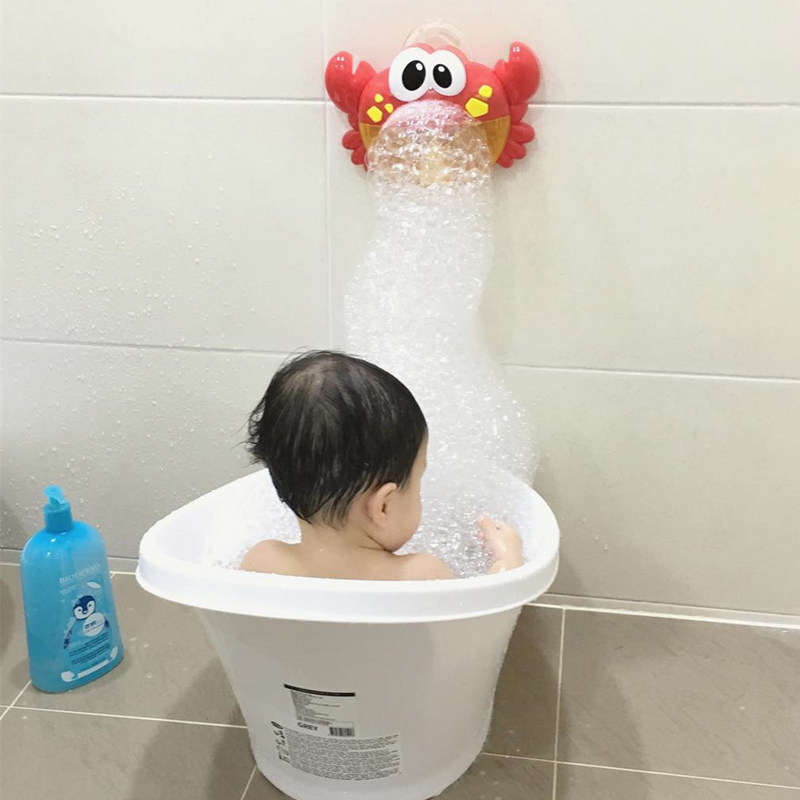 If you’re not bringing in non-bath toys by now, you’re looking up how to create new “bath experiences” to entertain the little one. And that’s fine if you have the time for it. 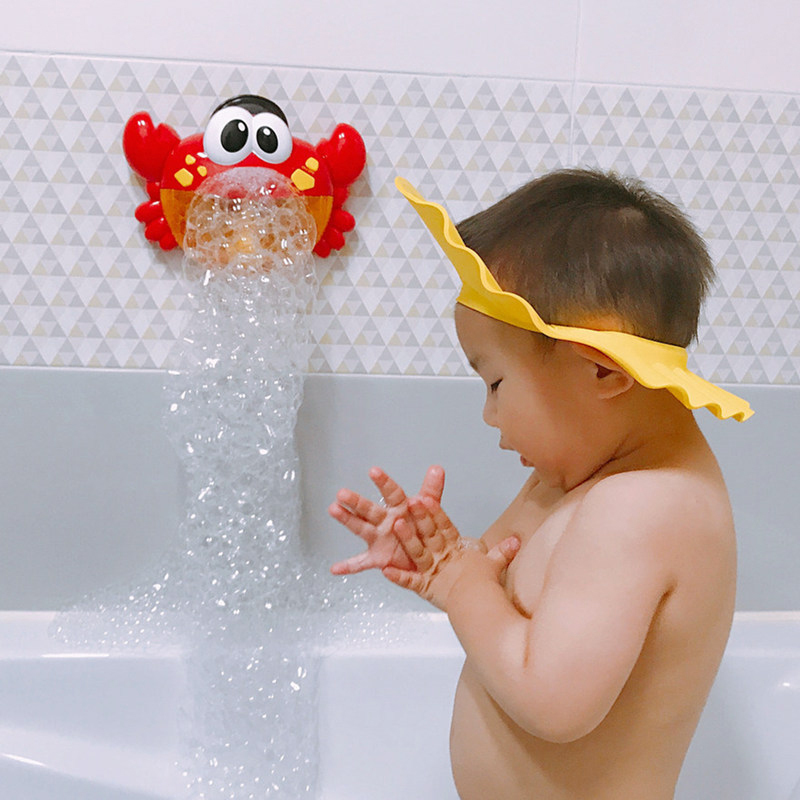 Our Bubble Crab takes what toddlers already love into the bath. And yes, the answer in the name – Bubbles! 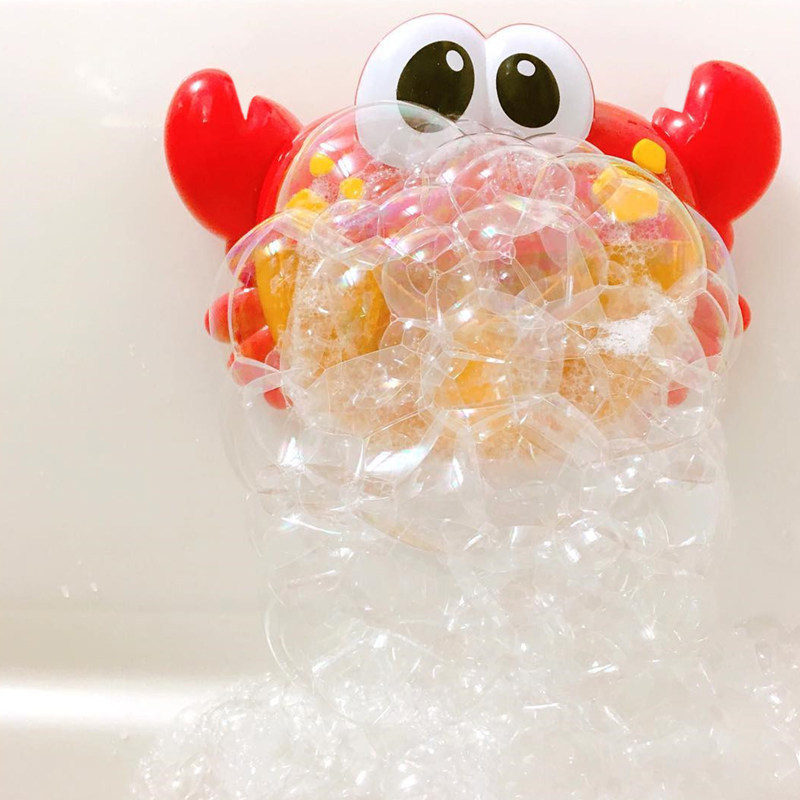 Different from a premade bubble bath, let your toddler watch and play as Bubble Crab oozes bubbles from the mouth into the water. 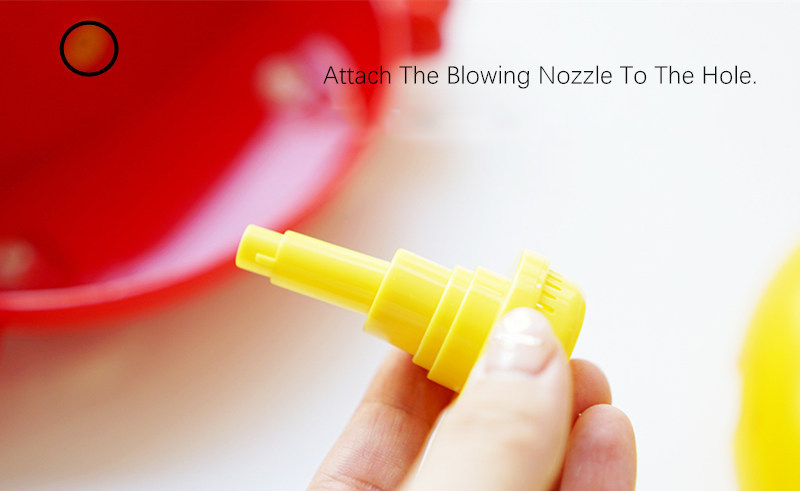 Catch, shape, or blow away the bubbles. Be creative and even make some bubble hats! 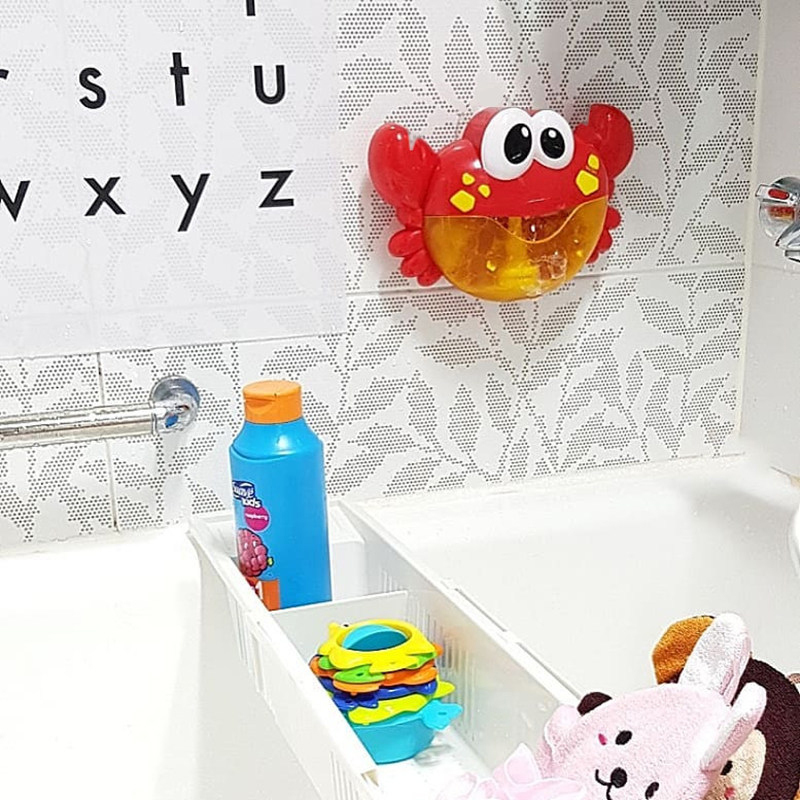 This visual playing helps to develop visual tracking skills, hand-eye coordination, and shape recognition for the little one. 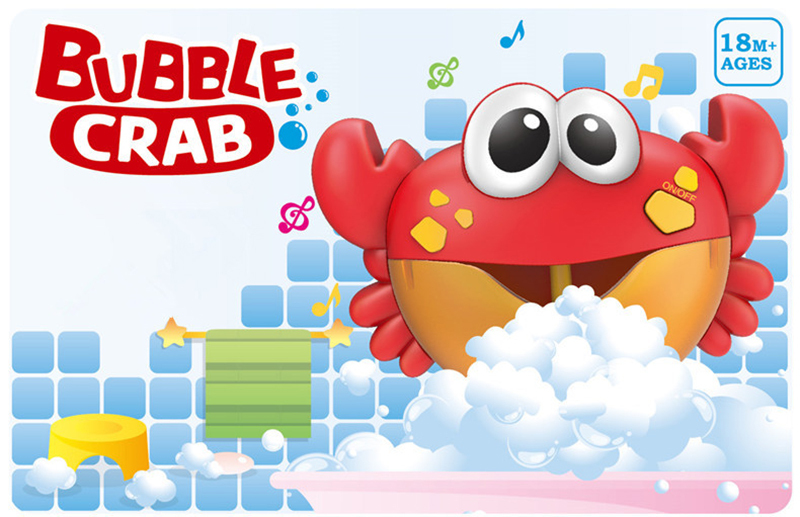 If that isn’t enough, Bubble Crab also brings 12 different kid’s songs to really kick the party off. 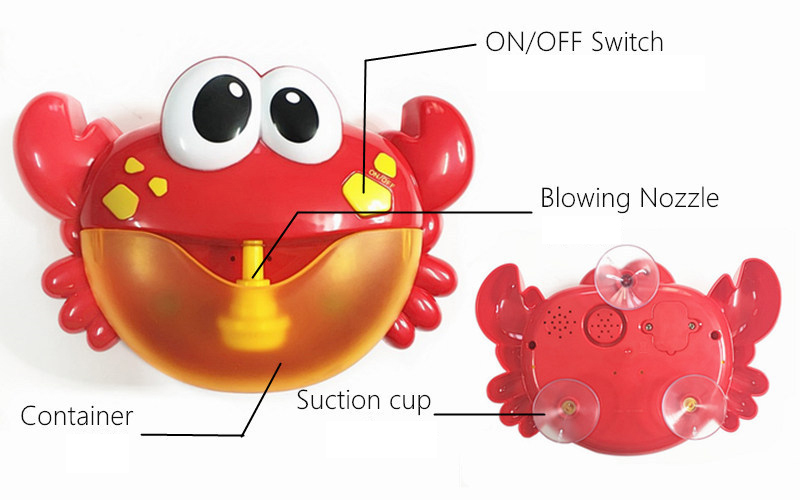 Easy Install: Attach blow nozzle, fill container with liquid soap or bath wash, add water, mount crab to bathtub or wall tile, turn on and play! 12 Kids Melodies: Rotates between – Twinkle Twinkle Little Star, Old MacDonald Had a Farm, The Wheel on the Bus, Hush Little Baby, If You’re Happy and You Know it, London Bridge is Falling Down, The Smurfs, Then Little Indian Boys, Mary Had a Little Lamb, I’m a Little Teapot, Apple Tree, Row, Row, Row Your Boat. 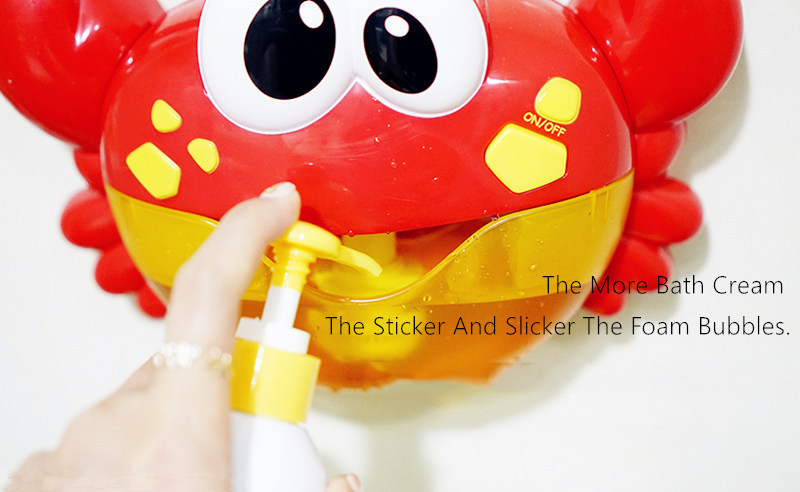 Adhere the product to the wall, do NOT immerse in water!